Paul has proudly represented Scarborough East since first being elected in 2006. His commitment to the community through his local work and representation at City Hall has been a strong one. 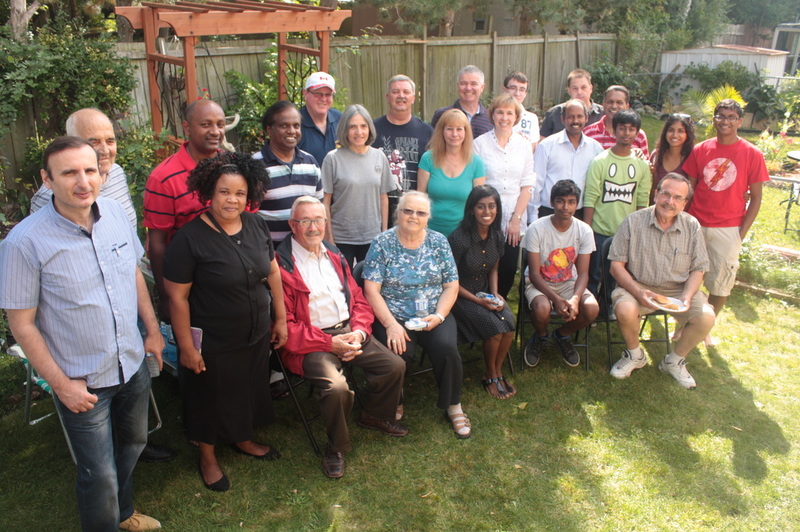 Ward 24 - Scarborough - Guildwood, is a wonderful, diverse community which over 118,000 people call home. Working diligently for his residents at City Council, Paul has dealt with a variety of both local, as well as city-wide issues. Providing experienced leadership, Paul committed himself to Chair several committees and Boards to ensure his residents have a strong voice in City Hall. Paul has brought respect and transparency to City Hall by not only "dragging City Hall into the 21st Century", but empowered municipal employees to participate by bringing new and innovative ideas to the forefront to open up City Hall. As Chair of the Government Management Committee Paul introduced many social media tools to the City so residents be reached in a modern and comprehensive manner .. His contribution to the Social Benefits Card has saved the City Hall $10 million dollars annually, putting more money into your pockets. The Government Management Committee under Paul's guidance as Chair has implemented programs that have saved the City of Toronto over $325 million. Paul's City includes everyone. All residents' opinions matter, and this is what drives the City forward one community at a time. With a positive, open and transparent local government, Paul believes Ward 46 - Scarborough - Guildwood will thrive,and have the confidence and public trust to strengthen our municipal government. Public service is the number one priority for Paul. Continuing to work for Ward 46 Scarborough Guildwood will be an honour. Born and raised in Scarborough East, Paul is happily married with three children. "I have repeatedly said that you and your staff do the best job in all of Toronto. In fact, if I knew how to clone you, I would clone you 24 more times. I appreciate your effort, you are just a gem out of other the other members of Council who don't put as much effort to their work and serving their constituents as much as you have done over the past two terms for Ward 43 and in fact I stated many times that Guildwood should not leave your amazing care and hard work you have done for the Guildwood, and the other communities in Ward 43." Miroslav Glavic, Resident Guildwood Community. "Councillor Ainslie proved you didn’t have to be loud or bombastic to get things done at City Hall." All Fired Up In the Big Smoke Blog, City of Toronto. "Keep up the great work, Paul" George McQuat, Resident Seven Oaks Community. "Having been a resident of Scarborough - Guildwood for over 50 years, I understand the expectations of our community. Councillor Paul Ainslie has been exemplary in representing the best interest of the people of our community at City Hall. I know that he will continue his diligent work through the entire community. 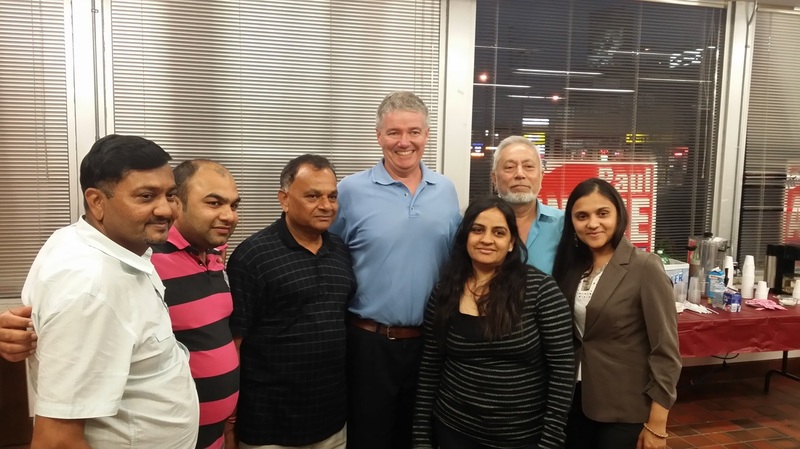 I take great pride in supporting Paul as the Councillor for Ward 24 Scarborough - Guildwood." Wayne Gratton, Resident Cedar Ridge Community. "I have had the privilege of working with Councillor Ainslie in our community. He has been a great support and help. He is a strong community advocate, giving a hand where it's needed whether it's clean up day in our community to lending a hand in our March Break or Summer programs with the children. Councillor Ainslie is a proven leader. Thank you, we could not have done it without your support." Angela Brackett, Resident, Mornelle Court Community. 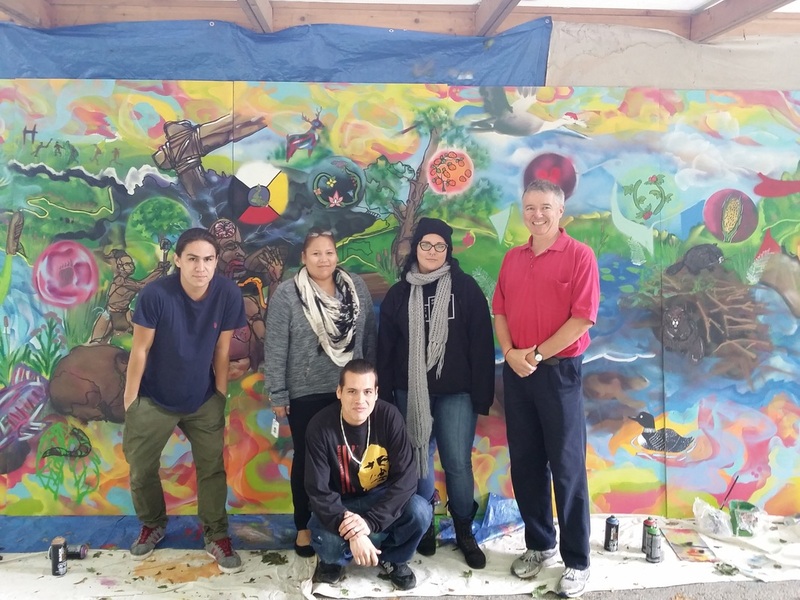 "I live in Guildwood, and over many years have worked with Paul on a wide variety of community projects. He has a cheerful, positive outlook, and tackles problems with enthusiasm, getting results for his residents. He is very dedicated and hard-working, and an asset to City Council. I will definitely be voting for Paul Ainslie again." Janet Heise, Resident, Guildwood Community. 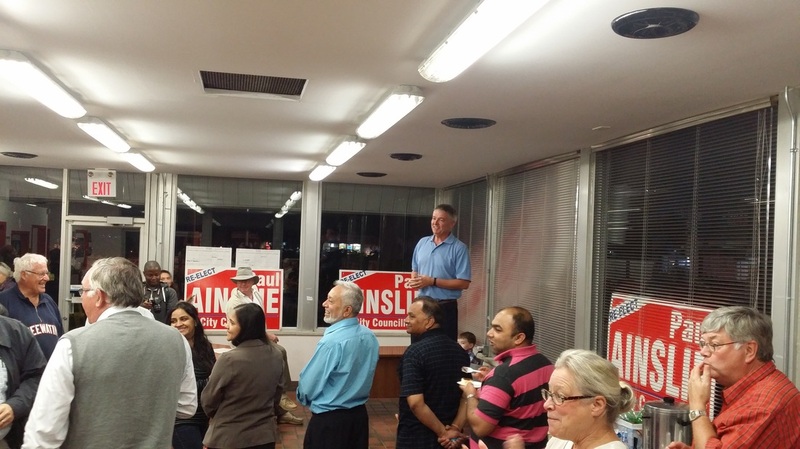 "Paul Ainslie is an amazing and incredible City Councillor. Paul is a Strong leader and has had a positive impact on our Community. 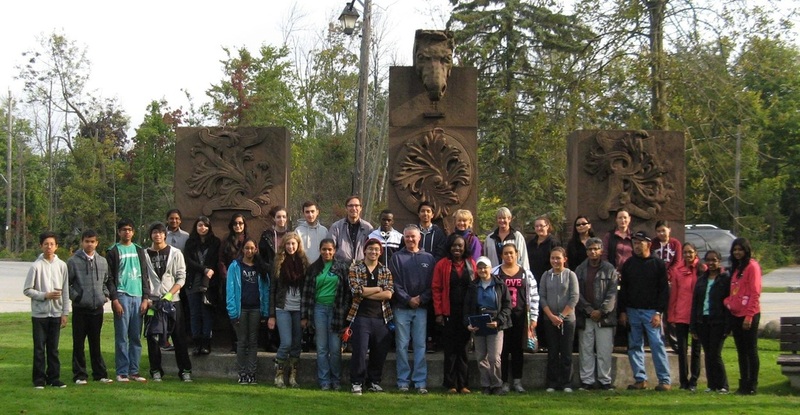 He's a great inspiration and is a strong voice for Scarborough-Guildwood." Nessa Babli, Resident, Coronation West Hill Community. "Councillor Paul Ainslie has worked tirelessly on behalf of the various community groups in Ward 43. I can only believe this effort will continue when elected in the new ward 24, even with a larger number of community associations. Paul is approachable and always makes himself available to the residents in his Ward. I am looking forward to his continued dedication and leadership on the new council. As a resident for many years of South Marine Drive in Guildwood, I have worked with Paul on various community committees and projects. I hope to continue to do so. I will be voting for Paul this October." Ralph van Putten, Resident, Guildwood Community. "I've had the privilege of working with Paul and his support team on a number of community events. In doing so Paul and his team have demonstrated great organization, energy, creativity and above all a genuine desire to make the community stronger and more unified." Chris Short, Owner, Olde Stone Cottage Pub and Resident. Paul with his wife Janet and their three children James, Thomas and Casey. Bring your voter information card and identification showing your name and qualifying Toronto address. If you did not receive your voter card and need to be added to the voters list this can be done at your voter location.